Latimer Park rainbows come in from the cold. My previous visit to Latimer Park Fishery had been on a balmy June day, when as a guest of friend Peter, we had enjoyed a day catching big rainbow trout on surface Mayflies. I was back again as his guest, but now it was the last week of November and a chill wind was blowing down the valley as we tackled up at the club house. Several members were already fishing, but none had caught so far, as we walked down to the dam end, where deeper water offered the prospect of feeding trout. Tying on a black buzzer with my line greased to within two feet of the fly, I cast to the where the shallows drop away into the original Chess river valley and watched as the wind drifted the line round. A steady movement of the leader was met by a raised rod and a fish on. First cast! This was not lost on the other anglers, who had not seen a take all morning and I took care not to force the fish in and chance losing it. I’ve not caught a Latimer trout that didn’t put up a good show and this was no exception, the rainbow diving away every time it came close, but a final heave on the rod, brought the beaten fish over the net and onto the bank. Not the prettiest rainbow in the lake, but the club rules state that the first fish of the day must be killed, so this two pounder paid the ultimate price. On any day, seven fish can be caught between a member and his guest, three fish taken, the first and last, plus another. With many rainbows and all browns returned, members tend to get their fish in as quickly as possible, to allow returned fish to recover. Peter came up to see my prize and what I’d used to catch it. For me this was beginner’s luck and my buzzer failed to attract another take. The wind soon picked up, the temperature dropped with it and the rain began to fall. Not much fun for me, but the sight of an angler huddled over his rod in one of the few prized boats, made me glad to be on dry land. A call got my attention; Peter was playing a good fish. Now with an excuse to warm up with a walk, I pulled my rod in and went to pick his brains, arriving just as he netted it. 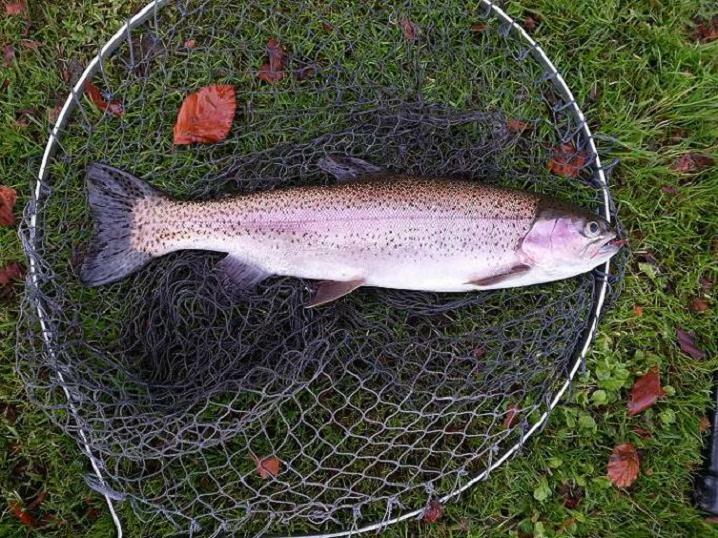 A truly beautiful rainbow of over two pounds was on the bank, a bloodworm fly in it’s jaw. Peter’s method was to fish this under a tuft of sight indicator yarn, striking when it disappeared. 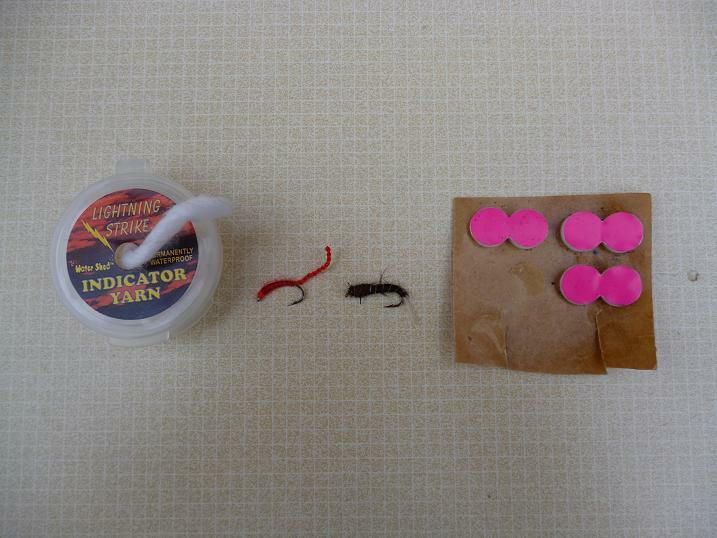 With foam indicators from one of my American visits, I scrounged a bloodworm fly and went back to try my luck, Peter playing another trout before I’d tied on the magic fly. This time a small brown, one of the indigenous Chess trout. It certainly worked, keeping the bloodworm in view above the fish as it drifted round in the wind. In the ripple I lost sight of my purple indicator, only to feel the line speeding through my fingers. Missed it. A couple more bobs, or drags, followed by swirls as I failed to make contact. Time to go back and scrounge some of his indicator yarn, which floated high on the surface aided by Water Shed floatant. As I arrived, the indicator shot under and he was in again. No one else was catching and I was surprised that they were doggedly sticking to their own methods. I’m not proud and was soon casting the more visible yarn out towards the middle of the lake, where the occasional trout was rising, to what I have no idea, but it gave a focus and hope on a freezing day. Kept warm by supplies of sweet, hot tea from the clubhouse, I persisted in my efforts to hook another trout. The yarn disappeared, or skated across the surface many more times, but despite delaying the strike, instant response, or just plain leaving it, I couldn’t connect. Peter was having the same trouble, but managed to hook and land another two, stopping to let me catch the last fish. 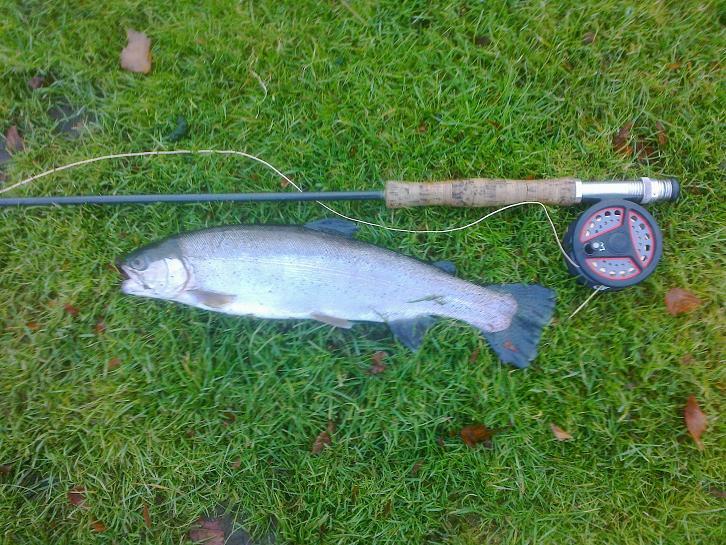 Soon we were the only anglers still fishing, one by one the members had left the lakeside, some with fish, most without. Despite still getting takes, with the cold finally getting right down into the core of my body and Peter even having trouble gripping his landing net, we gave up on that last fish and retreated to the clubhouse, where a woodburner was raging away. After more tea and with blood back in our veins, we left this little haven long before closing time, heading back to the motorway traffic, enjoying the luxury of the heated seats in Peter’s car. Shin Sung Career 707 .22 Carbine rabbit clearance. 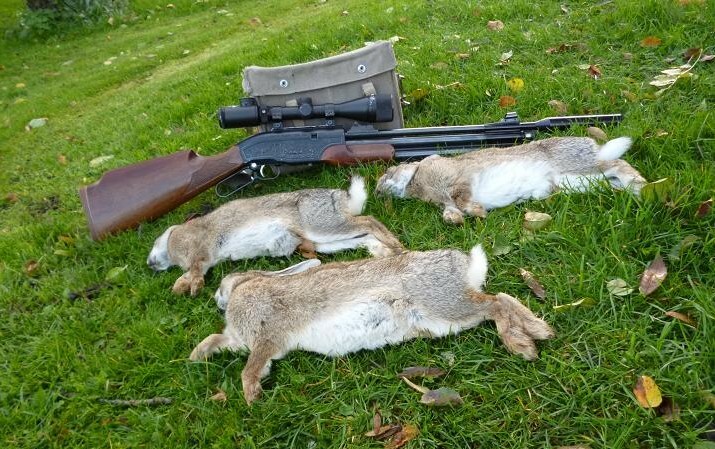 A request to shoot some rabbits, that were making a mess of flower beds and ruining a garden lawn, gave me a flutter of excitement this week, as with houses either side, for safety, I would have to use one of my air rifles instead of a rimfire. On an earlier visit, the lady owner had shown me an area to the side of the cottage, where the furry visitors were making a mockery of her horticultural efforts, digging up plants and bulbs, while turning the lawn into a mud patch. This position looked the ideal spot for a rabbit ambush, but they scattered the moment I appeared, making their escape through bolt holes under the fence. 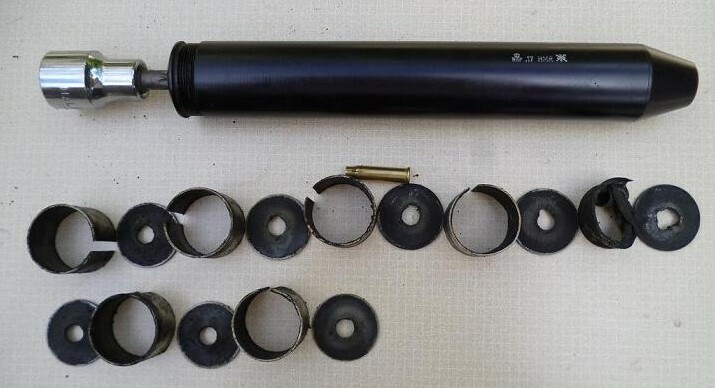 I’d opted to use my Webley Venom Viper .22 carbine PCP for this, as with it’s added external moderator, it is virtually silent and 20 to 30 yard head shots are a guaranteed kill with .22 Bisley Magnum pellets from this legal limit rifle. Apart from one large buck that came through the fence for a recce without settling, I saw no other rabbits and with the light going, had to admit defeat to the lady of the house, who consoled me with a strong cup of tea and a slice of apple cake. There are compensations to this pest control game. The house sits in the garden and I decided that on my next visit I would enter from the other side, using the house and an island flower bed for cover. This would mean a much longer shot from the bottom of the garden, ideal for my .22 semi-auto rimfire Magtech, but with houses either side and a with a chance of a ricochet, it was a no no. Time for the Career 707 .22 PCP to come out of the gun cabinet. This FAC rifle is at 28 ftlb on full charge, giving about 10 shots before the 21 grain Bisley Magnums begin to drop, holdover needed by twenty. 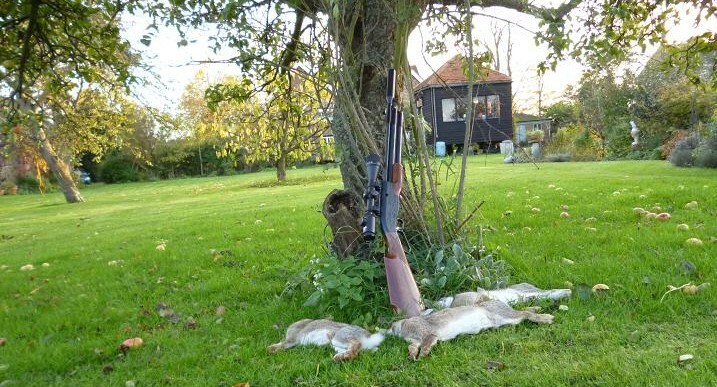 This is not usually a problem for an airgunner and I rarely fire more than ten shots on an outing shooting rabbits, squirrels, or pigeons, while the Webley Viper copes well with rats, giving at least 30 full power shots. 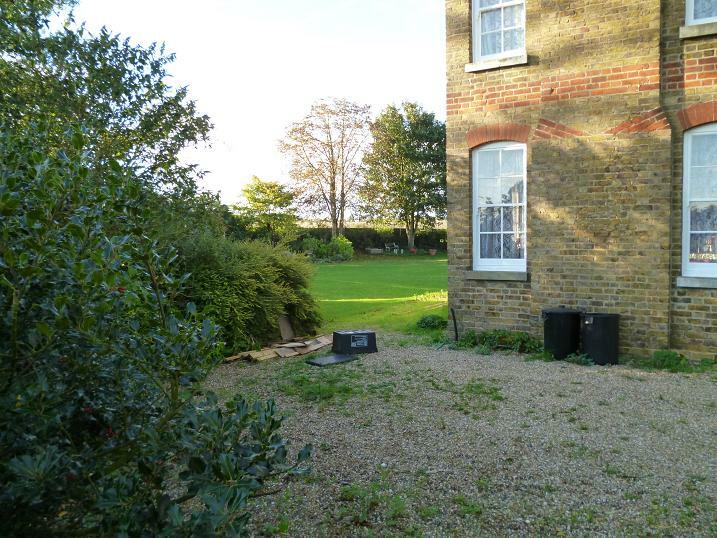 Back at the cottage, from a window overlooking the garden, several rabbits could be seen munching the shrubbery, so exiting the back door, I made my way unobserved along the opposite side to the small orchard at the rear. A ten yard belly crawl to the flower bed and the rabbits were in view spread over an area 35 to 45 yards away. Also in view was the kitchen window facing back at me, with the lady of the house grinning like a Cheshire Cat at this cammo clad figure stalking about in her garden. This had better work. Before coming to the cottage, I’d set a target in my own garden at 40 yards, firing until I’d taken out the 20 mm centre. Another charge of air and I was ready to go. Pushing my bag round the corner to rest the rifle, only my cap covered head was on view, when the first rabbit toppled over. A perfect side on shot from 35 yards. To reload the Career, the under lever trigger mechanism is swung out and back, much like the old Winchester rifle. This only takes a second, but you have to take your eye off the target and looking back some rabbits were sitting up, while others were already making for the escape route. Smack. The next pellet resounded on impact with one of the sitters. They were now at full exit speed, one making the fatal mistake of stopping at the fence. Three rabbits in what seemed like the same number of seconds. One was still kicking, but had stopped by the time I’d reached it. Another 30 minute wait and nothing else came out apart from a lone pigeon, which clattered into the air the moment I swung round to get a bead on it. Time to knock on the kitchen door to claim my cup of tea and cake, amid much congratulation and relief on my part. The next day a phone call informed me that they were back again. Time for a repeat performance and more cake. I’ll be sorry when there are none left. 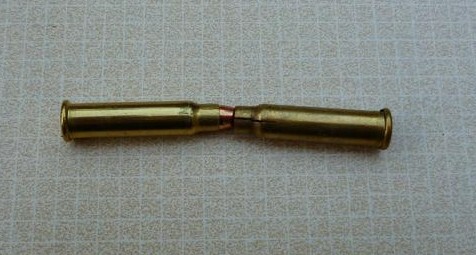 .17 HMR bullets jammed in the barrel on CZ452 rifle with Remington ammo. 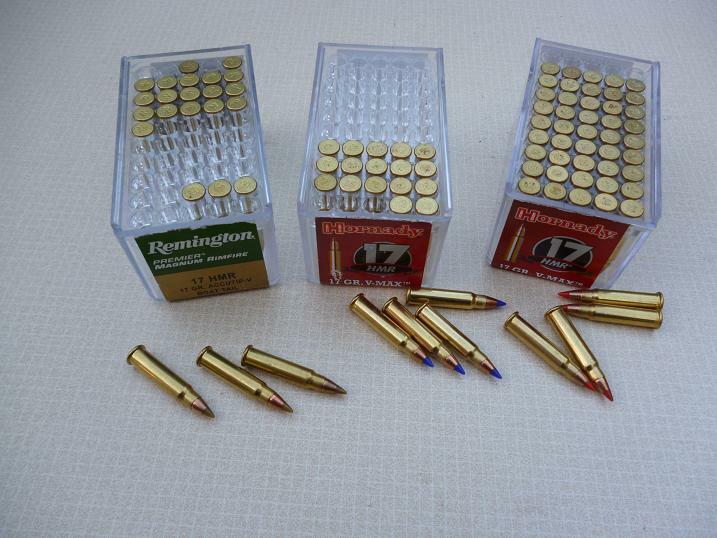 Working my way through a batch of 250 Remington gold tip .17 V-Max 17 grain bullets, I’d experienced the occasional squib, when the bullet fired with a flat note and a certain kill resulted in a clear miss, or a rabbit tap dancing away from a bullet skimming along at it’s feet. Being used to the variation experienced with some .22 lr brands, I put this down to inaccurate factory loads and continued to shoot rabbits. 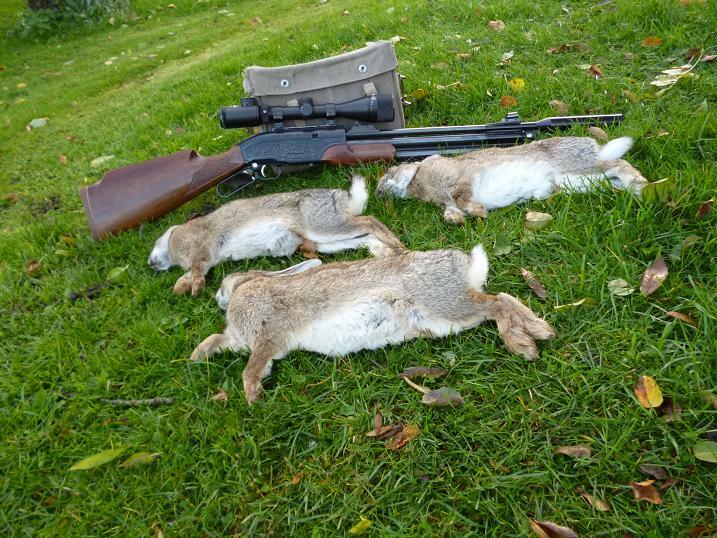 With most of my landowners complaining of growing numbers of rabbits this year, I’d embarked on a systematic culling operation, visiting two, or three farms close to each other in an afternoon, maybe three times in a week, then move on to another group the following week. 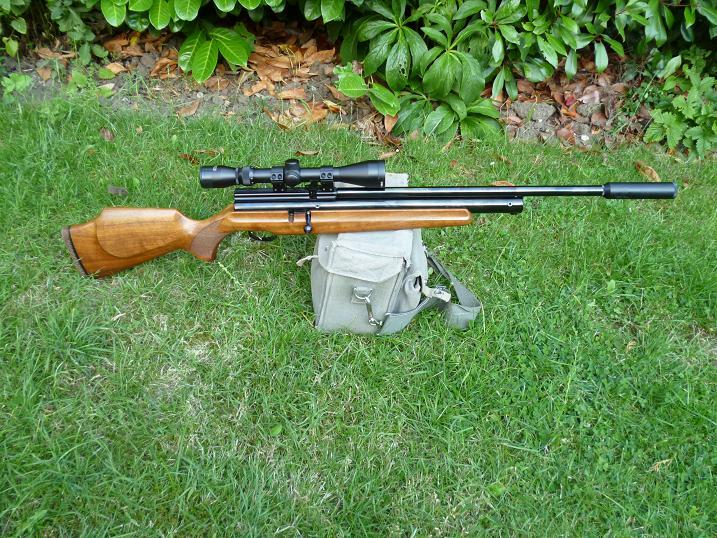 At the heart of this was my CZ452 .17 HMR Varmint with it’s heavyweight 16 inch barrel. 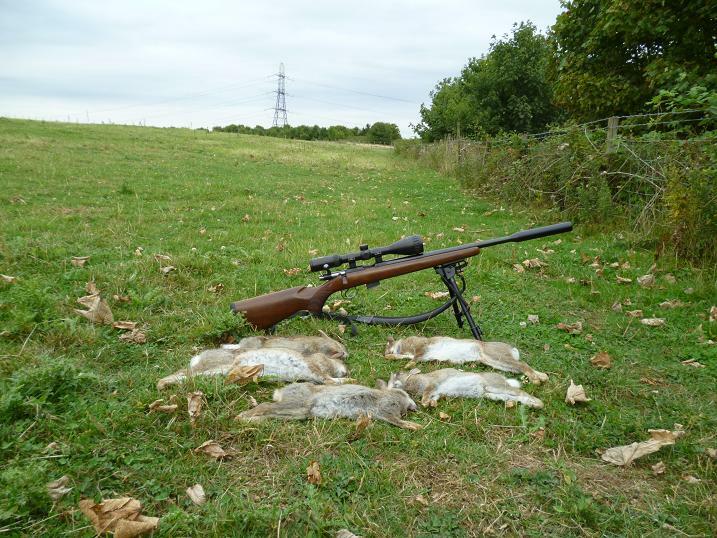 Shooting off a bi pod at ranges out to 140 yards, an average of ten rabbits a day were supplying the butcher’s shops of the area, while making a visible dent in the furry rodent population. All was going well on one such visit. 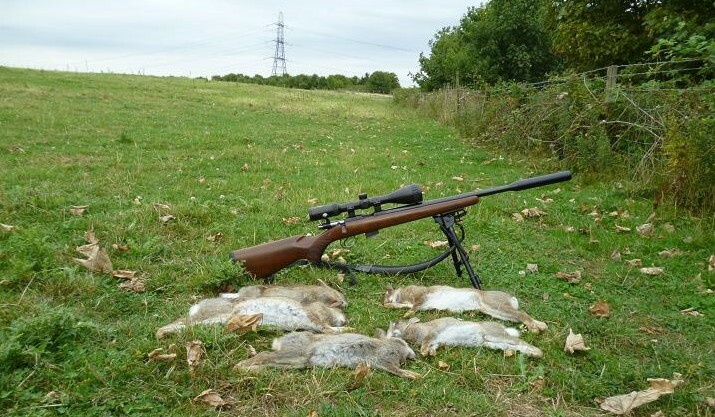 I’d shot two rabbits in a group from a raised area 120 yards away, placed my sights on another target, squeezed the trigger and there was a click, a delay, then Phatt, followed by smoke puffing out of the rifle breech. Another dud round. Not thinking, I chambered another round and fired again at the same rabbit. This time smoke and sparks flew out of the Swift moderator. The dud bullet had not left the barrel and my hasty next shot had slammed into it, causing fragments to exit through the moderator. I unscrewed the mod and there was a clear line of sight through it. Likewise the rifle bolt was removed and the barrel was clear from the breech end to the crown. I always try to pick up my spent cartridge cases, so I now checked these two and found that one was split from the opening to the neck. The culprit. My spent cartridge cases end up in my jacket pocket, until I have a pocket full, then dispose of them. I had 25 in there and 6 were split, which was a surprise, as I was unaware of 6 dud shots, each of these had accounted for a rabbit over the past week. 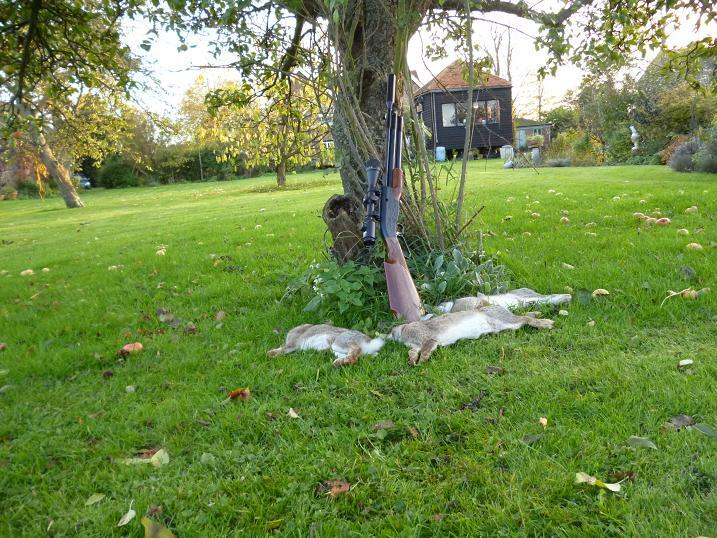 I shot another rabbit, then missed an absolute sitter. Unscrewing the moderator, it rattled. Time to leave. On stripping the moderator, the damage was clear. The first baffle on the right was badly deformed, while it’s supporting spacer had collapsed with the impact, testimony to the power of the HMR. Bullet damage reduced progressively to the final exit baffle at bottom centre. With a small home workshop, this was not a problem for me. A few new baffles were punched out and a new spacer turned up out of a piece of ali tube. 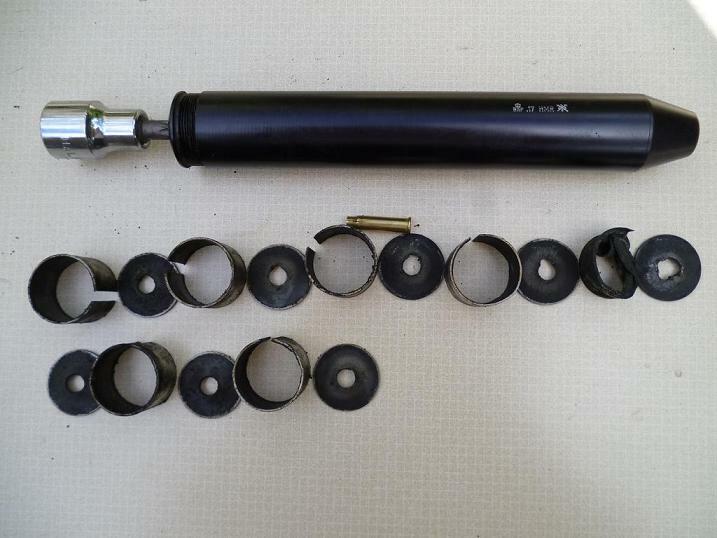 A bit of deburring and a reassembly had the moderator sorted, while the rifle barrel had no evident damage, the boresnake passing through with no stoppages. Back in business. My next outing involved a twenty mile drive and a half mile uphill hike to reach a warren lining the far hedge line. With little cover, I crawled to within 100 yards, a spot which allows a view each side to the field edges. Not having shot this field for six months, several big rabbits and a few juveniles were busily going about their eating routines. Well worth the trek. Selecting the nearest, I lined up on the brain, just behind the eye. Clack. The firing pin had struck the edge of the rimfire case, but apart from a light whisp of black smoke, nothing else. I waited a minute for safety, before opening the bolt, just in case there was a slow burn. 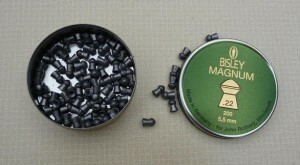 The case ejected, leaving most of the grains intact, while the bullet was jammed two inches up the bore. The case was split. Nothing more to be done, but pack up and drive back home. Back in the workshop, I found a length of 4mm brass rod, rounded off the end and wrapped tape at intervals along it’s length to protect the bore. Even with plenty of oil, the bullet was too tight to push out, electing to push from the rear the whole length of the barrel, rather than trying to push from the crown end the few inches that the bullet had travelled. A shorter length of rod was cut and a nylon mallet used to start tapping the rod through. 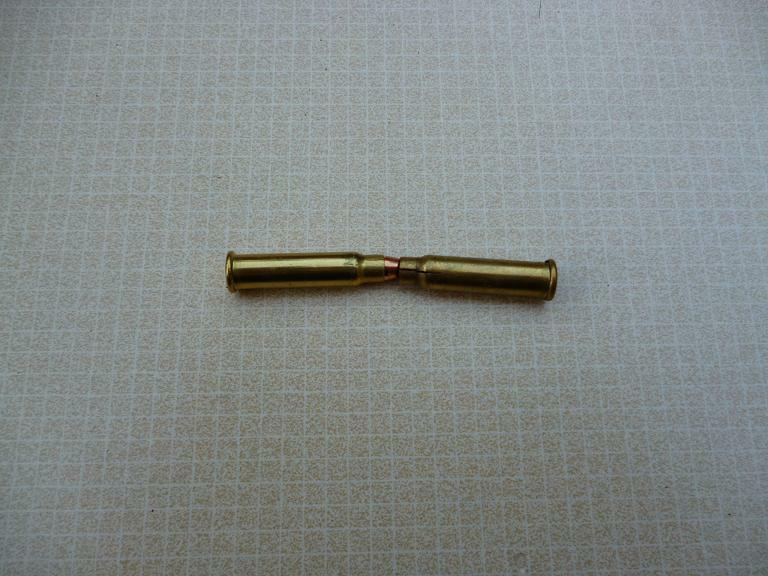 I was surprised how tight the bullet was in the bore, the boat tail of the bullet fortunately retaining it’s shape. This did not seem to be a safe batch of Remingtons and as a precaution I viewed the remaining thirty bullets in the box under a magnifying glass, finding a further four with splits in the case neck, one just visible to the naked eye. On firing this would no doubt open up, while being carried in the field, moisture could also enter to dampen the charge. Playing safe, the Remingtons have been marked as doubtful and a new box of blue tipped Hornady .17 V-max opened and checked for cracks. All looked good and thirty were fired without a hitch. 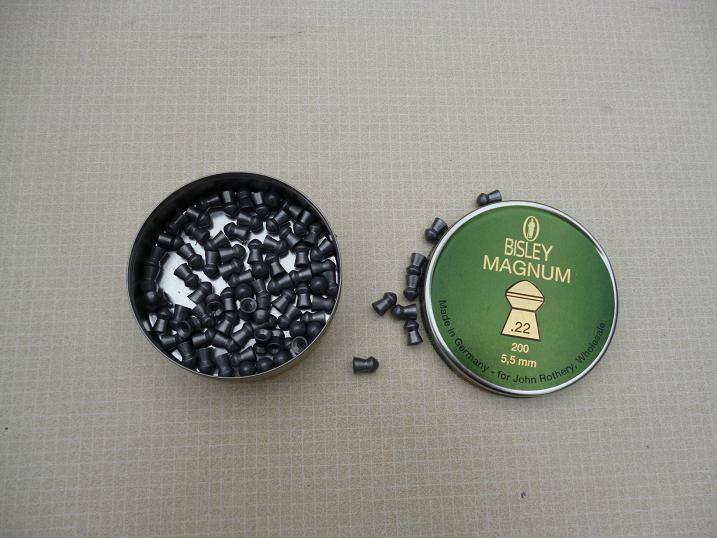 A box of Hornady red tips has also proved faultless. 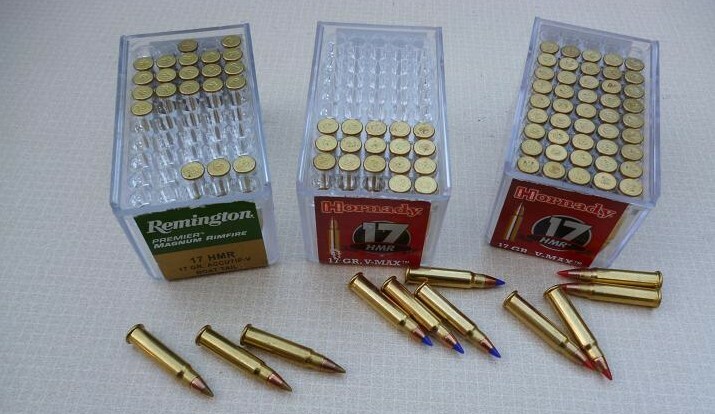 One could say don’t use Remington HMR bullets, but as Hornady and Remington use the same CCI production plant to manufacture all their HMR rounds, it has to be down to a batch of hard brass used for the cases, while the factory inspection techniques may need tightening up, before someone suffers a nasty accident. Bread Punch Roach on the Basingstoke Canal. Mostly small stuff. The Basingstoke Canal near Woking proved a worthwhile alternative to a flooded Thames this week, when a change of plan gave me a few hours in the afternoon to go fishing. 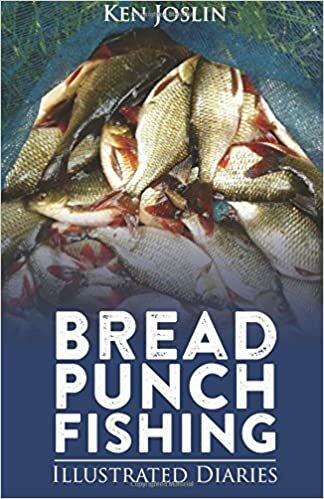 The bread punch is the ideal bait and method for spontaneous outings, as I store liquidized bread and a few pieces of medium sliced in the freezer. A slice of frozen bread is cut in four, then placed in the microwave for 15 seconds, causing a rapid thaw, before being rolled out to a millimetre thick and wrapped in cling film. That’s it, bait prep over. 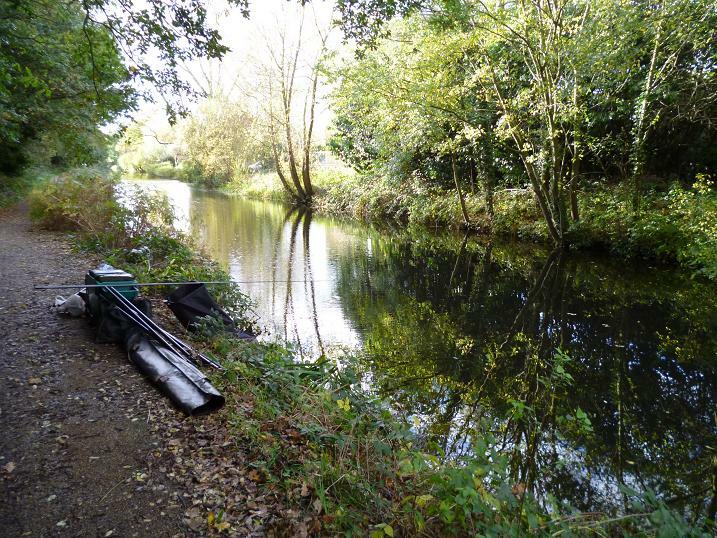 The canal was a picture of peacefulness, a light wind ruffling the surface as set up my pole, while the autumn sun warmed the air, the only downside being the crystal clear water, testimony to the lack of boat traffic. 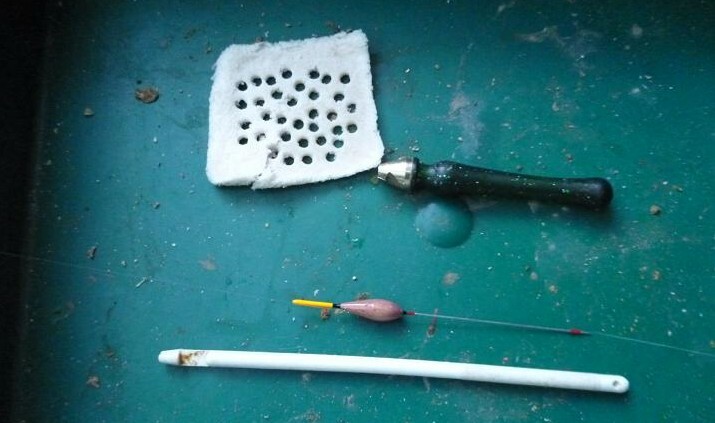 I set up a small wire stemmed pole float with just four No. 10 shot down the line, to a fine wire long shank size 20 hook and plumbed the depth to find the near and far shelves of the canal. The boat road is under three feet at it’s deepest. I measured out a quarter of a pint of the now thawed liquidized bread, compressed a small ball and lobbed it onto the nearside drop-off, watching it slowly break up, forming a cloud on it’s way to the shelf. The water was very clear. 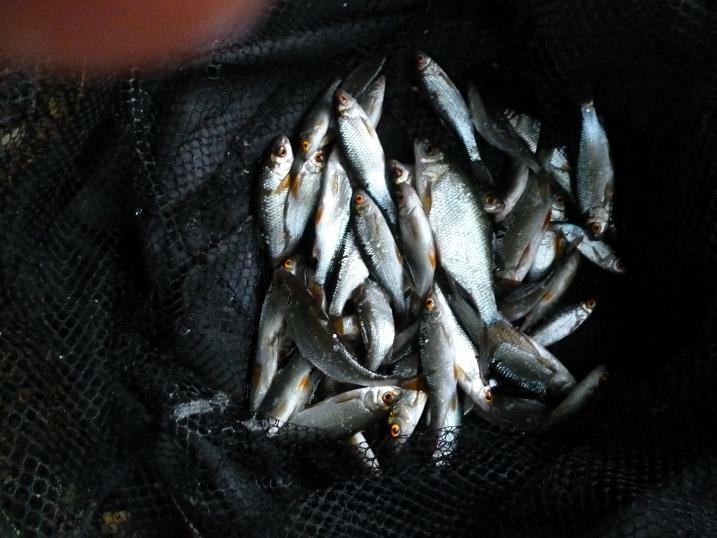 I was hoping for some skimmer bream from this swim, but they usually show when there is a tinge of colour in the canal and this was not their day, as the first of many four inch roach made off with the pellet of bread. The near shelf was still going strong, but not producing any bonus fish, when I switched lines to just past middle with two more joints on the pole, fishing over another small ball of fine crumb. More small roach. 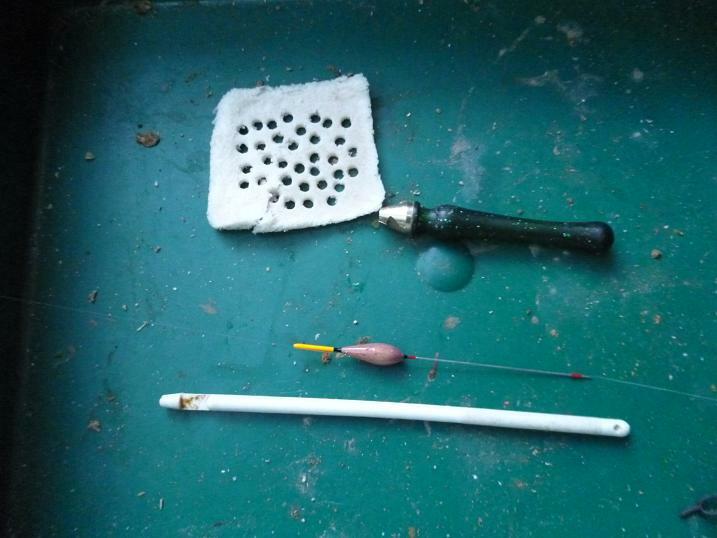 I went up on punch size to a 5mm and fished 6 inches over depth. This often sorts out a better roach, or a skimmer, but no, more tiny roach, some just hanging onto the pellet jammed in their mouths. The same on the far shelf. With the sun getting low over the trees, another ball was dropped in over the near shelf for a session of tiddler bashing, the float bobbing and sliding away seconds after cocking. I was now swinging the fish to hand, lifting into the first movement of the float, any longer and the disgorger was needed to reach the barbless hook. I lost count of the number of fish, all roach, bar one three ounce skimmer, which had me reaching for the landing net at first, but swung it in anyway. It just seemed big compared to the rest. Once the sun had gone, the temperature dropped like a stone and following my third “just one more” roach, I pulled my net in for a tally up. 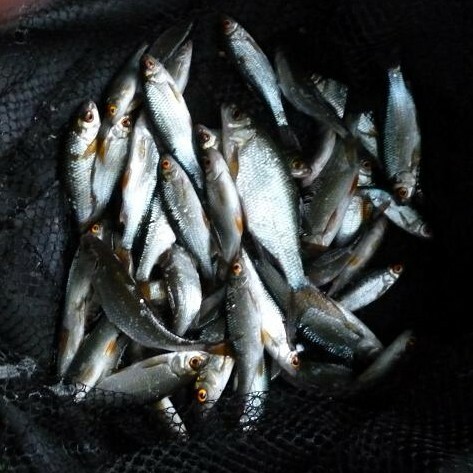 Despite throwing the the tiniest back, there were still at least fifty sprat sized silvers balled in my landing net ready to be released. Less than a quarter of a pint of white crumb had been used, while onto my second square of bread, over seventy punches had been made. A busy two hours.